Want to quadruple the potential market for solar in Virginia? The answer is to open up the benefits of solar ownership to renters, people with shaded roofs, and others who can’t install solar panels on their own property. Several legislators have been working with the solar industry to take a step in that direction this year. Senator Edwards (SB 350) and Delegates Krupicka (HB 906) and Yost (HB 879) introduced bills that would allow residents of multi-family housing communities like condominiums to band together to purchase a solar system, with all the participants able to claim a credit on their utility bills for their share of the energy generated. Virginia’s utilities don’t want to see this happen. 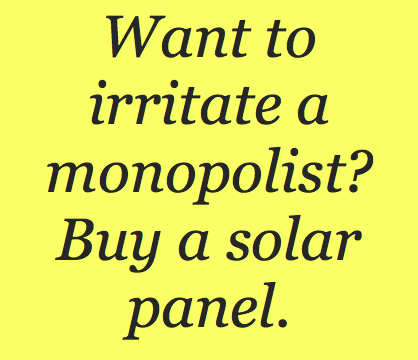 When people install solar systems, they buy less power from their utility, which otherwise has a monopoly on the generation and sale of electricity. Now Dominion Virginia Power thinks it has figured out a way to hijack the bills. It proposes to scrap the community net metering language that’s in there now and substitute language that would give the utility the exclusive right to build and own community systems and sell the power to the customers. It’s anticompetitive and anti-free market. With a monopoly on the systems, Dominion will also control price. Customers won’t be able to go elsewhere to get a better deal. If Dominion sets the price unacceptably high or imposes terms that turn off customers, we may see no community systems installed at all. The original proposal for multi-family net metering provides customer choice and allows market forces to determine prices. It’s a better deal for customers. The original bill language would create new opportunities for Virginia solar companies. It’s a better deal for business. Dominion could sell these RECs to a utility in a state like Pennsylvania, which has a mandatory renewable portfolio system that creates a market for RECs. But that market has been pretty weak lately. So more likely, Dominion’s plan is to sell the RECs to the chumps over at the voluntary Green Power Program, at a higher-than-market price. After all, Dominion operates the Green Power Program, and the State Corporation Commission has already blessed this self-dealing once. By contrast, under the original bill language, the customers would be the owners of their solar system and thus the owners of the RECs. They could sell the RECs to reduce their costs, or retire (keep) them so they are truly running their homes on solar power. To protect both the system owners and the Green Power customers, any bill allowing Dominion to own a community solar system would have to require the RECs to be applied to the utility’s goals under Virginia’s RPS, and not sold on the voluntary market. Yet I predict this protection would provoke howls of protest from Dominion. Is there anything to be done? Well, legislators shouldn’t let Dominion hijack community net metering. But that doesn’t mean there’s no role in this market for the utility, if it’s willing to play fair. That means competing with Virginia solar companies, not shutting them out. Heck, customers have been clamoring for years for Dominion to sell us solar power. It could do that so easily by building a utility-scale project on a brownfield somewhere and offering customers a straightforward solar tariff. When we see that happen, we will know the company is serious about solar. Its attempt to hijack these net metering bills just proves it’s not. The bills keep coming. Again, this is hardly a comprehensive list, just the ones I’ve had a chance to think about. By the way, renewable energy fans may want to head to Richmond on January 30, when many of the House bills will be taken up in a long afternoon session of the House subcommittee on energy. Members of the public are usually permitted to testify. Another renewable energy tax credit bill. Senator Norment has now filed SB 653, a companion bill to HB 910. This caps the overall total of tax credits that can be claimed at $10 million annually. As previously noted, it’s encouraging to have powerful Republicans supporting this bill. One complication, however, is that Senate Finance, which will hear Norment’s bill, has adopted a policy that makes it very difficult to pass new tax credit legislation, preferring grants instead. Tax breaks for renewable energy have proven extremely effective in other states and at the federal level in building the industry and creating jobs, but I wouldn’t object to grants. With Norment one of the leading senators on the Finance committee, we will hope he navigates this wisely. Crowdfunding. Currently securities laws prevent private companies from accepting investments from people who are not “accredited” investors, otherwise known as rich folks. The purpose is to protect unsophisticated investors from hucksters, but it has the effect of preventing companies from engaging in creative crowdsourced financing for things like solar projects. An “invest in Virginia” bill, HB 880 (Yost) and SB 351 (Edwards), would loosen the rules for Virginia citizens investing in Virginia companies. Solar gardens. HB 1158 (Surovell) would allow “virtual” net metering of solar energy, making it possible for someone to subscribe to part of the output of a solar project and get credit on their utility bill for that amount. This approach would support huge growth in the solar market and has tremendous grassroots appeal; not surprisingly, the utilities are completely opposed to it. Advantaging natural gas. Appalachian Power seems to want to build a new natural gas plant in Virginia at customer expense, and doesn’t want the State Corporation Commission to scrutinize the plan too carefully. HB 1224 (O’Quinn) makes an end run around the SCC’s standard operating procedures by declaring such a plant in the public interest and telling the SCC to “liberally construe” the provisions of the law to approve it. You have to wonder: if a natural gas plant is such a great idea, why does the SCC have to be coerced into approving it? And why shouldn’t a wind farm get the same treatment? Fracking public lands. HB 915 provides that no permit or lease for oil and gas exploration or drilling on public lands can prohibit the use of fracturing. Really? Why would you prevent a state agency and the Governor from determining the scope of a permit? If the agencies are doing their job protecting public lands (I know, a big if), surely this prohibition ought to make it less likely, not more likely, that permits would be issued. That makes this bill a bad idea no matter whose side you’re on. Attempts to nullify federal law. Two bills from Bob Marshall, HB 140 (multi-state coal compact) and HB 155 (interstate offshore energy compact) would replace existing federal laws and regulations with state control. Only the first bill is blatantly unconstitutional. The second, an attempt to supplant federal authority over waters beyond three miles out from shore, wouldn’t take effect without “consent” of Congress, so it might be merely a total waste of everyone’s time and an affront to our good sense. Delegate Marshall evidently regards the Constitution as a mistake. The rest of us can only be embarrassed for his constituents. Every year, hundreds of energy bills are fed into Virginia’s sausage-making machine, but little of interest to clean energy advocates makes it out the other end. Utilities and coal companies largely control the outcome, thanks to their generosity in funding legislators’ campaigns, and they do not share our desire for change. Yet the start of each new Session, like the new year itself, always produces hope and excitement about the possibilities at hand. 2014 is no exception. There are a lot of bills here worth watching, and even rooting for. The list below is not comprehensive, and new bills keep coming in while existing ones get amended faster than I can keep up with, so take this summary only for what it’s worth today. One point worth noting is that many of the most promising bills come from Republicans. Renewable energy and energy efficiency, once identified with progressives, seem to have gone mainstream in Virginia. Well, why not? In addition to lowering our carbon footprint and helping residents save money, they make business sense and create jobs. How to look up a bill: The links in this article will take you to the summary page for a bill on the website of Virginia’s Legislative Information Service. The bill summary is not guaranteed accurate and does not change even if the bill language changes substantially, so always follow the links to the latest version of the bill to read the text. The summary page also shows what committee the bill has been assigned to; following the links will show you who is on the committee, when it meets, and what other bills have been assigned. Investment tax credit. The bill with the potential to do most for renewable energy in Virginia is HB 910 (Villanueva), which would provide tax credits for renewable energy projects. The top priority this year for the solar industry, the bill would go a long way towards helping renewable energy compete in a state that still shells out millions of dollars every year in coal subsidies. A companion bill from a Senate Republican is also expected but has not been filed as of the time of this posting. The combination would be a powerful statement of support from a party that has not always been a friend to renewable energy. In a bid to create broad support, HB 910 is not limited to emission-free projects like wind and solar. It would be hugely unfortunate if a few large biomass projects were to gobble up the credits, so we hope the patrons will commit to making any necessary fixes in future years if that happens. Expanding net metering. Three-quarters of utility customers can’t take advantage of solar energy because their property isn’t suitable for solar panels. HB 879 (Yost), HB 906 (Krupicka) and SB 350 (Edwards) would allow customers in multifamily housing to participate in shared renewable energy systems, a limited form of community net metering. The bills would also allow something called “municipal net metering,” under which local governments could build a single renewable energy facility and attribute the energy from it to multiple meters on property owned by the locality. In addition to solar, these projects could include wind, landfill gas or gas from aerobic or anaerobic digesters. Although these three bills look to be the same right now, I’m told they may be changed so that one House bill deals with multifamily housing and the other with municipal net metering. Defining solar panels as pollution control equipment. SB 418 (Hangar) is primarily a useful workaround to address a tax problem that is holding back solar power purchase agreements. Odd as this sounds, currently third-party-owned solar systems are subject to local tax as manufacturing equipment. In many jurisdictions where solar PPAs have the most potential to help churches, schools, and other non-profits go solar, the tax is so high as to make the projects impossible to finance. Many localities want to help solar but are paralyzed by fear of opening a Pandora’s Box of unintended consequences. To solve the problem, SB 418 would extend to solar panels a tax exemption currently available to landfill gas projects and wood mulching equipment. Beyond helping PPAs, the legislation would also exempt solar equipment from state sales tax, which would make solar systems more affordable to all solar customers. RPS bills. Several bills seek to improve Virginia’s pathetic voluntary renewable portfolio standard law by restricting the kinds of energy or credits that can be used to meet it. None of them would make the RPS mandatory, so they can’t deliver the kind of robust market in renewable energy credits (RECs) that supports the wind and solar industries in other states. For the most part, they aim for small fixes that could cue up stronger bills in future years, and reduce the consumer rip-off that characterizes the current RPS. Of these, HB 1061 (Surovell) is the solar industry favorite. It would create the beginnings of a solar REC market here even within the framework of the voluntary RPS. 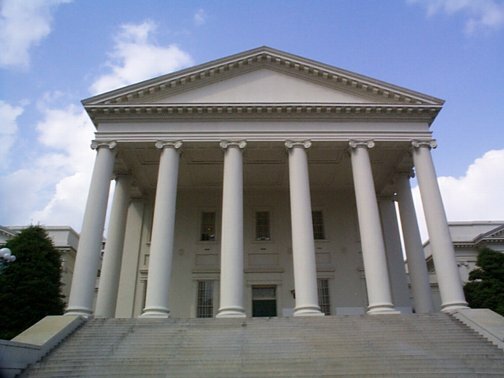 This “Made in Virginia” bill would require Dominion Virginia Power to meet a portion of its voluntary target with renewable energy certificates representing distributed generation produced in Virginia, or by contributions to the state’s voluntary solar resource fund, which provides loans for solar projects. The State Corporation Commission would be tasked with the job of creating a system for registering and trading Virginia-based renewable energy certificates (RECs). HB 881 (Yost) similarly sets up a system of renewable energy certificate registration and tracking at the SCC. It also eliminates the double and triple credits that the RPS currently gives to certain types of energy, only grandfathering in some wind RECs that Appalachian Power had already contracted for. SB 498 (McEachin) makes a number of changes to the voluntary RPS to put it on a stronger footing going forward. It limits a utility’s ability to satisfy the goals with purchases of low-quality RECs like those from old hydroelectric dams and landfill gas, and ensures that most future purchases of energy and RECs will represent high-quality resources like wind and solar. It does not, however, include a carve-out for Virginia distributed generation. A similar bill last year received the blessing of Dominion but died in the face of opposition from the Virginia Alternative and Renewable Energy Association, arguing for the interests of the producers of crappy RECs. Delegate Alfonso Lopez spent much time and effort over the past year trying to broker a deal between the utilities, environmental groups and renewable energy companies to produce a modest consensus bill. The result, HB 822, would seem to be a testament to how little consensus there is; it includes only a two-year limit on banking RECs for use in future years and the elimination of double credit for energy from animal waste. (I’m guessing the animal waste people weren’t at the table.) It also strengthens existing wording about the RPS serving the public interest, which may help utilities get SCC approval for expenditures to meet the targets. On-bill financing for energy efficiency. Advocates of clean energy say the best way to get homeowners and businesses to weatherize buildings and install efficiency upgrades is to let customers pay the cost through their utility bills, often out of the energy savings they reap. HB 1001 (Yancey) would require electric utilities to offer on-bill financing for energy efficiency measures. The bill would be stronger if it included gas utilities and did not insist on a five-year payback period, which is too short a time for many weatherization measures, but it’s still a great start. Service districts. HB 766 (Bulova) adds energy and water conservation management services to the list of items that can be owned and maintained by local service districts. This adds a new tool for local governments to finance energy efficiency and renewable energy projects, allowing payments to be made via local property tax bills. Virginia Commission on Energy and the Environment. The Virginia Energy Plan is due to be updated in 2014, and boy, does it need it. Anyone who has ever tried to make sense of the plan has probably given it up as a hopeless hodgepodge of contradictory ideas. Anything you like, it’s in there. Anything you don’t like is in there, too, and none of it means anything because the provisions for the most part have no teeth. HB 818 (Lopez) hopes to turn this mishmash into a coherent plan for Virginia’s energy future by creating a new legislative commission to perform a comprehensive review of the energy landscape. Price stability. HB 808 (Lopez) adds consideration of long-term price stability to the factors that utilities and the State Corporation Commission must look at when evaluating a proposed new electric generating facility. This would help to level the field for renewable energy, since fuel prices for fossil fuels are highly volatile and largely unpredictable over the full 30-year design life of a facility, whereas wind and solar are famously price stable. Consideration of the environment. In a case decided last summer (PUE-2012-00128), the State Corporation Commission essentially interpreted the Virginia code to eliminate its own role in protecting the environment when it approves electric generating facilities. HB 363 (Kory) beefs up the code just enough to make it clear the SCC still has a job to do even when state agencies have issued all the relevant permits. The bill requires the SCC to consider matters not covered by permits, such as carbon emissions and the overall effect of electric generation facilities on the health and welfare of residents. Dealing with climate change. Hampton Roads is facing a crisis as sea level rise combines with sinking land to swamp low-lying coastal areas with every major storm, a problem predicted to get steadily worse over the course of the century. SJ 3 (Locke) and HJ 16 (Stolle) establish a Recurrent Flooding Planning Committee to examine ways to respond. It’s a good bill, but really, it’s weird to address recurrent flooding with no mention of what’s causing it. Dealing with recurrent flooding in Hampton Roads without talking about climate change is like addressing the obesity epidemic without mentioning diet and exercise. Why kid ourselves? Carbon Dioxide Emission Control Plan. Speaking of kidding ourselves, SB 615 (Carrico) would establish a commission with the job of limiting carbon emissions without limiting the sources of those emissions. Indeed, the bill would be more accurately titled the Carbon Pollution Continuance Plan. It’s too bad to see legislators fighting to keep coal plants running full-tilt when we have better, cleaner, and cheaper options—ones that don’t put us on a course to make “recurrent flooding” a daily occurrence. 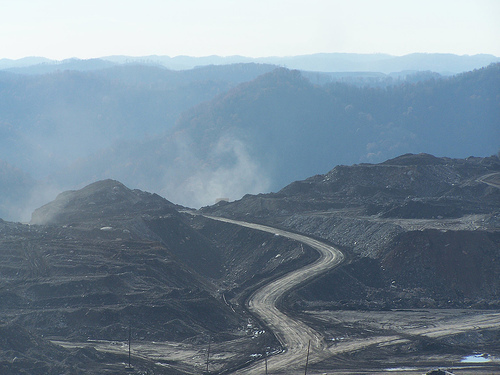 Can carbon sequestration save Virginia’s coalfields? Many elected officials who care about the stark challenges confronting America’s coal-producing regions today are pinning their hopes on carbon capture and sequestration. This technology takes carbon dioxide out of power plant emissions and stores it underground. Since coal is the number one emitter of carbon dioxide, the greenhouse gas primarily responsible for heating the planet, carbon sequestration might be the only way to continue our use of coal in a world increasingly worried about climate disruption. Virginia’s newly-elected governor, Terry McAuliffe, has high hopes for carbon sequestration. McAuliffe is confronting a problem that confounded his predecessors: how to deal with the continuing economic decline of southwest Virginia’s coal-producing counties. But, enthusiastic as he is about new technology, McAuliffe should be skeptical of suggestions that carbon sequestration offers a solution to Virginia’s coal decline. It does not. This decline has been going on for decades. It predates the recession and the Obama presidency and tighter regulations aimed at protecting public health. It predates the explosion in natural gas fracking that has made gas cheaper than coal. Coal employment in Virginia has steadily dropped and is now below 5,000 workers, less than half of what it was in 1990. The best coal seams have been mined out, exacerbating the problem that Virginia coal is more expensive to mine than coal from other states. To get at the remaining seams as cheaply as possible, coal companies increasingly resort to mountaintop removal, destroying vast tracts of the Appalachians with explosives and giant machines (but very few workers). Even if carbon capture and storage proves successful, coal employment in the commonwealth won’t recover. We aren’t the only Appalachian state facing this problem, but others are tackling it head-on. Kentucky, facing an even steeper decline in its coal-producing areas, has launched a bipartisan effort to help the region move beyond coal. This doesn’t mean they are happy about it, but they are willing to look facts in the face. In Virginia, on the other hand, the response for some years has been to throw money at the coal companies and hope for the best. Virginia taxpayers shell out millions of dollars every year to corporations that mine Virginia coal. Legislators keep renewing the coal subsidies even though a 2011 review by the Joint Legislative Audit and Review Committee concluded they aren’t effective. If throwing money at coal companies can’t halt the slide in Virginia coal, it’s hard to see how carbon sequestration technology could do it, even if the government were to pay for it. And given the environmental destruction involved in mountaintop removal mining, prolonging the end of the coal era in Virginia shouldn’t be anyone’s priority. The start of a new administration offers a chance for a new strategy. Admittedly, it won’t be easy. The challenge of bringing new industries to a remote and mountainous region is a tough one, and support for coal still remains high in the area. Why, then, insist on confronting cold reality? Because it has to be done. Terry McAuliffe campaigned on jobs, and has given every indication he means it. Given his background, connections and talents, he is in as good a position as any governor in recent times to take on the challenge of helping southwest Virginia diversify its economy. He can work with the legislature to redirect the millions of dollars currently going to ineffective coal subsidies into tax credits for jobs in new industries and support for projects like home weatherization that create jobs and make a difference in people’s lives. He can challenge the entrenched interests, twist arms, enlist allies, recruit businesses, use the media—in short, make this a priority. The residents of the coalfields deserve as much.